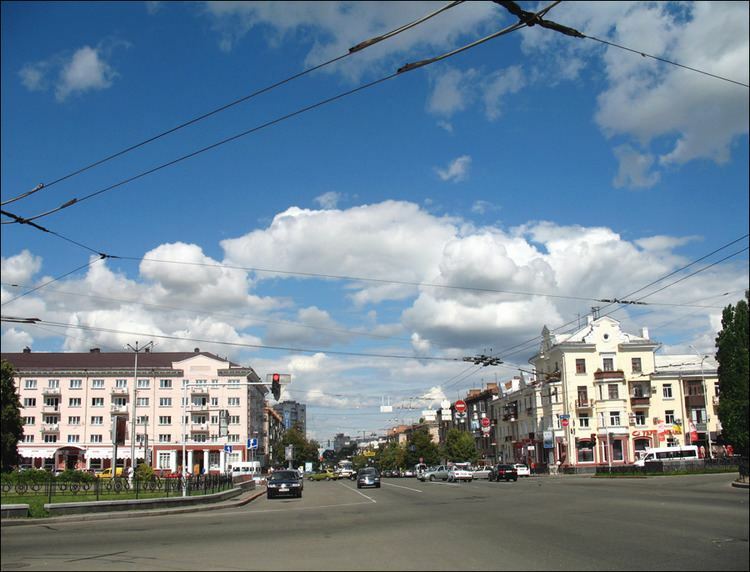 Chernihiv (Ukrainian: ) also known as Chernigov (Russian: ; ) is a historic city in northern Ukraine. It is the administrative center of the Chernihiv Oblast (province), as well as of the surrounding Chernihiv Raion (district) within the oblast. The estimated population of the city is around 296,008 (as of 2013). Chernihiv was first mentioned in the Rus-Byzantine Treaty (907) (as ????????? (Chernigov)), but the time of establishment is not known. According to the items uncovered by archaeological excavations of a settlement which included artifacts from the Khazar Khaganate, it seems to have existed at least in the 9th century. Towards the end of the 10th century, the city probably had its own rulers. It was there that the Black Grave, one of the largest and earliest royal mounds in Eastern Europe, was excavated in the 19th century. In the southern portion of the Kievan Rus the city was the second by importance and wealth. From the early 11th century it was the seat of powerful Grand Principality of Chernigov, whose rulers at times vied for power with Kievan Grand Princes, and often overthrew them and took the primary seat in Kiev for themselves. The grand principality was the largest in Kievan Rus and included not only the Severian towns but even such remote regions as Murom, Ryazan and Tmutarakan. 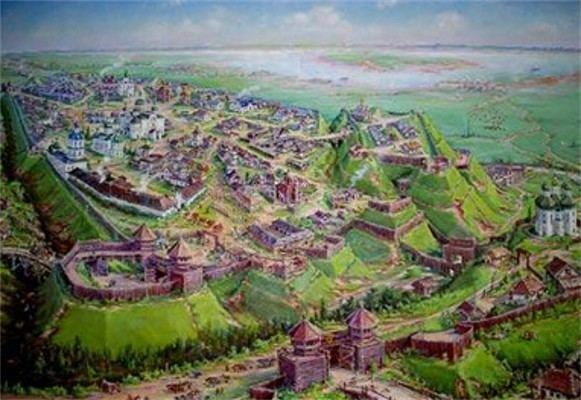 The golden age of Chernihiv, when the city population peaked at 25,000, lasted until 1239 when the city was sacked by the hordes of Batu Khan, which started a long period of relative obscurity. The area fell under the Grand Duchy of Lithuania in 1353. The city was burned again by Crimean khan Menli I Giray in 1482 and 1497 and in the 15th to 17th centuries it changed hands several times between Lithuania, Muscovy (1408–1420 and from 1503), and the Polish-Lithuanian Commonwealth (1618–1648), where it was granted Magdeburg rights in 1623 and in 1635 became a seat of Chernihiv Voivodeship. The areas importance increased again in the middle of the 17th century during and after the Khmelnytsky Uprising. In the Hetman State Chernihiv was the city of deployment of Chernihiv Cossack regiment (both a military and territorial unit of the time).